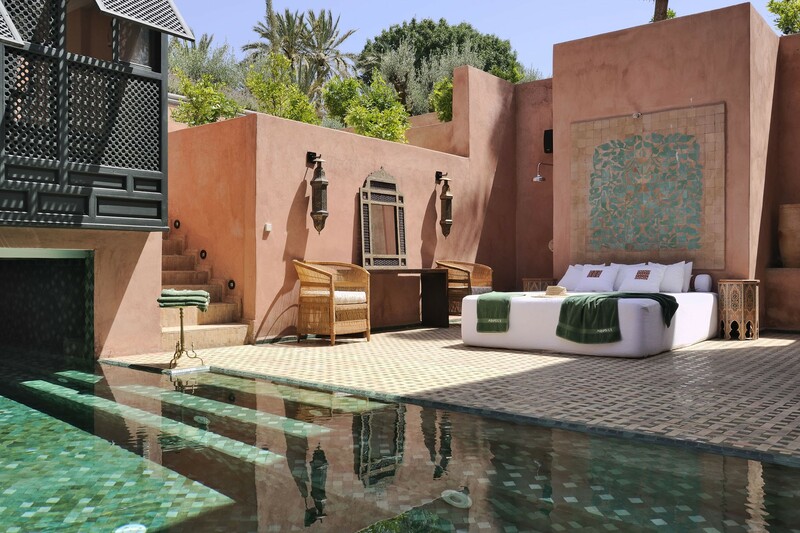 A spa with a hammam and treatment room (shared with Villa Azzaytouna). The spa menu offers a range of beauty treatments using Dermalogica products and Moroccan argan oil. These include massages, facials, manicures, pedicures and wet shaving for men. All treatments are included in the price and can be taken in the spa, in your room or by the pool.